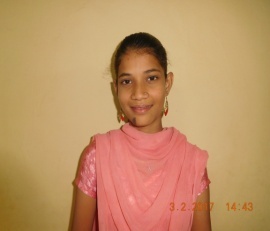 Muskan Fatima Mohd. Riyaz Shaikh, 17 years, stays in Sangam Galli Shivaji Nagar, Dharavi. With her parents divorced, her mother works in a private company to support the family of five members. Muskan was not interested in the self-defense class as she felt such training were for boys.